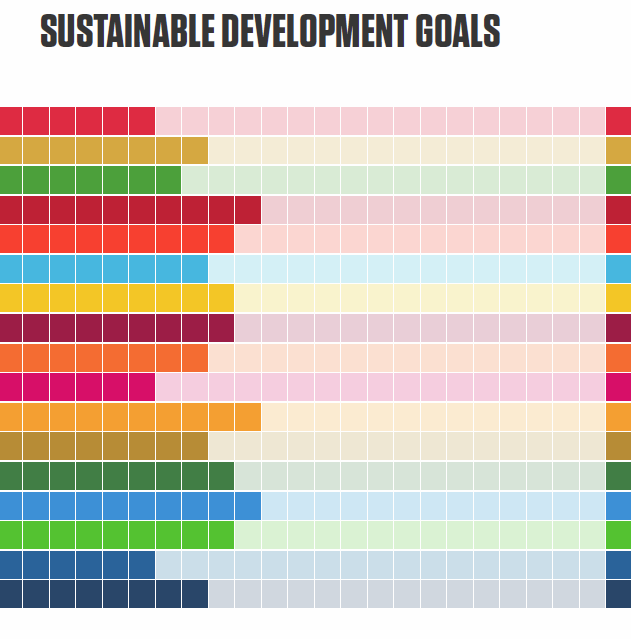 “Slow Start Towards Sustainable Development Goals” – that’s hardly the headline conclusion the global development community was hoping to read in the recent survey of 500 professionals across six sectors and seventy-four countries, titled “Evaluating Progress Towards the Sustainable Development Goals,” conducted by GlobalScan and SustainAbility. Virtually every private and public organization in the developed world harnesses the power of big data to drive high-impact decisions; weigh risks and opportunities; shape strategies, programmes and policies; and to hold involved constituents accountable. Multi-pronged, multi-year initiatives tasked to create transformational change in emerging economies must also be driven by data insights—including historical evidence, current state and predictive analytics. Leaders working in the developing world should demand and expect no less. Over the past two years, we at BroadReach have strengthened our commitment to innovate and champion data-driven solutions. We introduced the BroadReach Vantage data-driven platform that integrates flexible modules: dashboards to track key metrics, advanced analytics to direct resources for optimal gain, workflow and collaboration tools to support best-practice service delivery and automated reporting. Our experience confirms—a data-driven platform shared by public and private partners working towards a common goal is an unassailable enabler of SDG success. When leaders have data at their fingertips to share a collective view of the current state, they can agree how to move forward most expeditiously. When they have data-driven insights about risks and opportunities, they can focus time and money for optimal return. When they have mobile access to best-practice operational solutions, they can replicate reliable service delivery across geographies. When they have consolidated data in one place, they can fulfill reporting requirements efficiently. And, when they have a platform to communicate in real-time, they can they collaborate for the common good. Without the support of a data-driven solution tailored to the needs of developing economies, how can government leaders advance initiatives that further the SDGs? The absence of evidence-based data creates barriers that make it extremely difficult to provide citizens with access to quality health care and education, decent work and compensation, and the policies and infrastructure to live peacefully and equitably in society. We wouldn’t expect government leaders in the developed world to operate without a data-driven foundation, so why would we expect otherwise for leaders in developing economies? The time is now to commit fully to the power of data-driven solutions to achieve the SDG targets by 2030.